Pictured at the new Moycarkey Borris hurling wall are (left to right) Phil Kelly, Kieran Morris & P.J. Flanagan (M.D.) of H&MV Engineering, with Kieran McEvoy of Old Town Construction. Also pictures are Liam Hackett, John Corcoran and Laurenz Egan of Moycarkey Borris GAA Club. 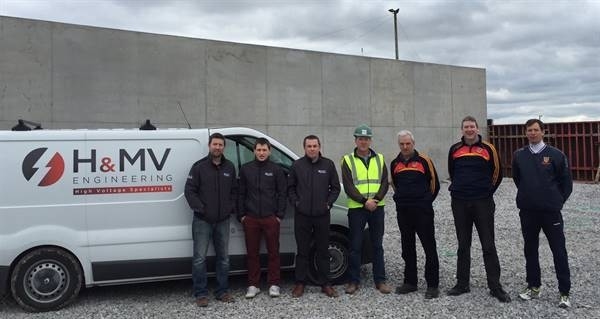 The hurling wall is proudly sponsored by H&MV Engineering and constructed by Old Town Construction.